I’ll be the first to admit it, I love to organize and host children’s parties. That said, in our home every holiday is an excuse to host a kid-friendly bash, St. Patrick’s Day included. The great thing about hosting children’s parties is with a little planning and preparation you can give your guests a whole lot of fun and make it an affordable party too. So if you’ve been looking for an excuse to throw a children’s party, look no more. St. Patrick’s Day is almost here. Put on some traditional Irish music, get the kids into a circle and pass the potato. When the music stops, the child who is holding the potato is out. The last child sitting is the winner! From decorations to food, transform your home into a green and gold party space. Serve up macaroni and cheese with green beans and green grapes and offer green Jello Jigglers and gold cupcakes with green frosting for desert. Create your own banner by stringing paper shamrock cutouts together with fishing line or ribbon and use green and gold balloons as decorative accents. Many cities and towns host St. Patrick’s Day parades. Check with your local Irish American Club or consult your local parent’s paper to see if there is a parade in your area. Pick up a black plastic pot (or use a pot of your own), tape off a line a few feet away and have the kids toss gold-foil wrapped chocolates into it. Give each child a “pot of gold” (plastic pail filled with gold coins) as a prize. 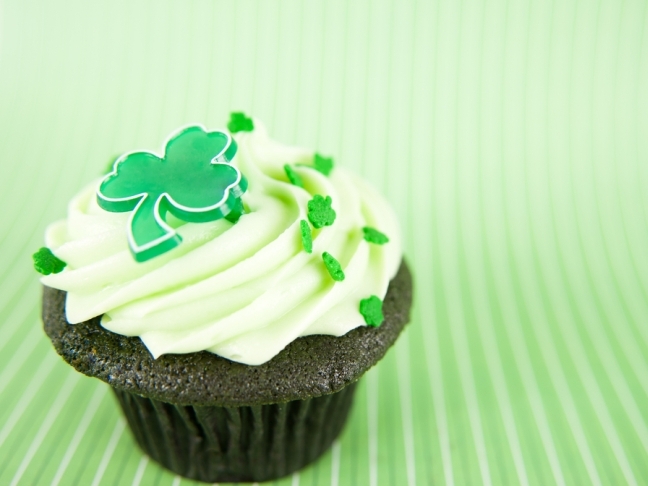 Are you planning on hosting a St. Patrick’s Day party for the kids? Share your best party tips below.